Frequently Asked Questions (FAQ) - Power Line Industries, Inc.
1. Is there really a difference in power wash equipment? ANSWER: YOU BET THERE IS! The key to good equipment is the engineering. If you are counting on your power wash equipment to operate properly, you want the best components to insure reliable service. Look for equipment that is “all belt driven” and uses premium components. If the unit costs a little more, there’s a saying we love “the bitterness of poor quality remains long after the sweetness of a low price”. You can find lower prices but you won’t find better quality! 2. The local Franchise dealer says not to buy from any Web advertised company (like us) because of the service or lack of it. ANSWER: For the most part we agree with them!! The majority of units sold are going to require A LOT of service and repair due to poor engineering and low quality parts and are sold by “mom and pop” or catalog dealers that offer no support. We tell our customers to look at our equipment design and note the industrial engineering and layout – compare “apples to apples” – you can see our units will require minimal service. We have simplified the engineering – not complicated it! The large national franchise firm dealers make the bulk of their living off service rather than sales of new equipment, so of course they don’t want you to buy a unit from us. Don’t you wonder why they push their service contracts on new machines??? Does a new machine really need a service contract? Maybe theirs does! We have 100’s and 100’s of units in service in the toughest environments and they are proven to be the best in the industry! 3. If we buy a power washer system from Power Line – how do we get service? ANSWER: Your number one service item is the motor. Vanguard, Honda, and Kohler have service centers everywhere – which are great! Our power washers are engineered for easy service – and we include a comprehensive service manual and DVD’s with each pressure washer system. In our many years of shipping 100’s of units nationwide – we have never had any service issues we could not resolve either over the phone or with a small engine service center. 4. Your prices seem low. What gives? My local rep is quoting thousands of dollars more and from the looks of theirs, yours seems as good if not better. . . .
First – Our systems are better in more ways than one . . . Welcome to the internet!! The Web has leveled the playing field and created exposure for small firms like ours. In todays world, information is king. Do your homework. 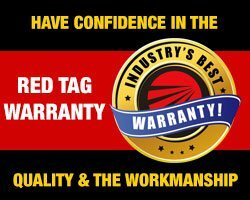 As one of the larger independent hot water pressure washer, skid and trailer manufacturing / distributors in the country, we offer extreme value and you are buying direct from a pressure washer company that specializes in pressure washers, not drills, air compressors, a “tool warehouse”, or catalog only operation and we don’t have to pay any franchise fees! Second – Our volume has given us extreme purchasing power – we own our inventory, building, etc. Third – We are a 30+ year old family business with no stockholders, board of directors, and we are part of a large detergent business that we own. 5. Your prices seem high. What gives? ANSWER: Our first response to this is to see if we are comparing an “Apple to an Apple” as the saying goes . . .
First – Is the unit oil fired or propane fired on the burner? Propane burns very clean, however it requires a huge propane tank so the tank doesn’t freeze, it’s a pain in the neck to refill the tank, upright coils are prone to stress cracks on the bottom, and propane is very explosive (have fun servicing this). Think of your BBQ grill when it doesn’t ignite right away – what happens? The upright coil catches rain and rusts your burner components at the bottom, also the engineering style of propane is a pain in the neck to service and someday you are going to need service! Second – Is the pump direct drive or belt driven? Belt drive runs at ½ RPM and operates smoother with less vibration. Third – Does the unit have its own generator to power the burner? Our 115 volt generator systems are proven extremely reliable. Fifth – Do they have 30+ years of washing / equipment experience? Sixth – Are you dealing with a “basement mom & pop” internet only company? Sure they can sell cheap – they don’t have a parts inventory, Service Manager, or a building where they are based. Do they keep 250K to 500K in inventory that can ship ASAP? If you are on a job and you need advise on cleaning – can they help or give technical advise? Seventh – Are you dealing with a giant catalog company? Good luck with technical advise, and product knowledge – we don’t sell drills, air compressor, tools, or are a catalog only operation. Again, if you are on a job and you need advise on cleaning – can they help? Eighth – Is the trailer custom built to handle the weight stresses of hauling heavy loads? Our trailers are clearly superior to any on the market. Ninth – Can the dealer custom build? Bottom line – In the long run “It’s quality that counts”. We operate a non-commission, technical trained, experienced sales staff. We give you our best price up front. Your local “National Brand” dealer usually runs like a used car lot – starts by quoting extremely high and then you haggle down for your best price. 6. Which Gas motor do you recommend, the Honda or the Vanguard or Kohler? ANSWER: This is really a personal preference – here are the differences as we see them – Vanguard is one of the best motors in the business and Briggs and Stratton has the best service centers. Honda is by far the #1 name and gives a great image. (And they charge more). The Honda requires a 100 hour break in period before the valves have seated properly – then the motor really runs out. Your local Honda dealer will adjust the valves which increases the compression and balances the cylinders during the break-in period. We also recommend the Honda where there are many operators. They start a little easier and the low oil shut off works! The Vanguard motor is relatively new. The V-Twins have been out for around 8 years and have a proven track record. Service and warranty in the US is better with Vanguard than the Honda (maybe Briggs and Stratton dealers work a little harder)? The V-Twin Vanguard was formed in a partnership with Diahatsu and Briggs. Kohlers are a little harder to start in the cold – however – they run and run, so you really can’t go wrong with any motor. 7. Which size motor do you recommend and why? ANSWER: When we first built our units, we loved the 16 or 18 HP units. For reliability – we have added a 115 volt generator that requires around 2 HP to power the burner system (instead of the 12 volt systems). The small motors don’t have the engine life of the larger motors. In 2002, we phased out the 16 HP and phase out the 18 HP in favor of the 20 HP Honda and/or the 21 HP Vanguard as our base Industrial power units. Now (2018) we are building the 23HP and up to 35HP units. The extra power has really given our units extreme reliability – and plenty of power. You can always reduce your power needs on a machine – but you cannot increase it if you need more power on the job. In 2010, we engineered both a 31 HP and 35 HP Vanguard power units. These combine high flow with high pressure and can be engineered for dual gun operation. 8. Why don’t you build pressure washers with vertical burners? ANSWER: We’ve found that the horizontal burners are much easier to support when mounted in a mobile pressure wash trailer system, especially in tough “off the road” applications like mining, excavating, and mobile washing. The vertical burners sit up-right, the vibration creates stress problems and moisture enters easily from the top stack. This prematurely rusts the heat exchanger and burner components, and the vertical burners are a pain in the neck to service! 9. Why don’t you build an enclosed cabinet design. Isn’t this better to keep it out of the weather? ANSWER: The enclosed units sure look nice – however – if you are going to actually run your Power Washer Trailer for any length of time, heat is the enemy with air cooled motors. According to the Vanguard and Honda service reps, these motors need an enormous amount of air flow and should NEVER be restricted by any obstruction. They are air cooled. Heat creates premature cylinder failure in the engines, not to mention the exhaust heat and the enormous BTU heat exchanges. The so called “better engineering” looks nice, but you have to stand on your head to service them, they cost a fortune, and yes – they stay out of the weather. 10. Can I mix and match power units with trailers and tank sizes? ANSWER: Absolutely! This is what we are known for! If you want a custom trailer enclosed, Goose neck, Super heavy duty 12K, Heavy duty, Single axle, Metal deck, Tandem axle, or a Wood deck – we can build it – heck – we will even custom paint it for you! 11. Do I need hot water? ANSWER: Depends on what you are cleaning. If you just want to blow off dirt, sand, or mud – cold water is fine, however, if you want to deep clean, remove greases and oils, cold water units are a waste of time. Hot water pressure washers are quicker, more thorough, and overall more efficient than cold water units. 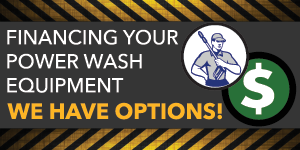 Hot water pressure washers are ideal for large areas or areas with stubborn grease and oil stains. The combination of heat and high water pressure emulsifies and breaks down dirt very effectively. You can also add soap or degreasers to intensify the cleaning power. Hot water trailer units are preferred for commercial settings and heavy-duty cleaning. 12. How much pressure / GPM do I need? ANSWER: It depends on the surface you are cleaning. To cut metal you need “Ultra” PSI – 10,000 PSI, however to clean trucks, concrete surfaces, etc., the combination of hot water / GPM / PSI does the trick. PSI (pounds per square inch) is a measurement on how much force a pressure washer is able to produce in order to propel its water stream. MORE PSI DOESN’T NECESSARILY MEAN MORE CLEANING POWER. For example, a 3,000 PSI pressure washer that use 5.0 GPM generates 15,000 CPU, while a unit with 4,000 PSI and 3 GPM generates 12,000 CPU. As a general rule: more GPM = faster cleaning times. You must also consider the water flow, which is measured in GPM (gallons per minute). The GPM identifies the amount of water a pressure washer uses. 13. 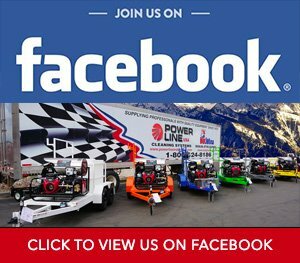 What makes your power units / trailer units better than the others? ANSWER: Our quality, service, engineering, and our fair prices. We build them one at a time and we stand behind them 100%. WE WOULD RATHER EXPLAIN OUR FAIR PRICES ONCE TIME THAN TO APOLOGIZE FOREVER FOR LOW QUALITY ! Looking professional is vital to your business. Image will create value in your customers eye! 14. What about water regulations? Do I need a water treatment system? ANSWER: This is a concern for everyone in the business! Local regulations are extremely important to comply with. Some areas of the country are fully compliant, and some just don’t comply. We find differences in city to city ordinances and enforcement. Generally – closer to the ocean – we see more compliance. The EPA protects open water ways, IE: storm drains, etc.. We build all kinds of water treatment systems that can catch and recycle all kinds of wash water – call us if you have a need or questions. 15. What about dual gun systems? ANSWER: We can build them, however – we recommend a larger motor – GX690 Honda or our new 23 HP or 35 HP Vanguard units. We generally prefer to offer our customers 2 separate systems on the same trailer – this way if one quits running – you have a back up. With a regular dual gun system – if the machine goes down you completely shut down! So call us for options. 16. What about soaps and degreasers? ANSWER: We manufacture a wide variety, and we include some in our packages. 17. 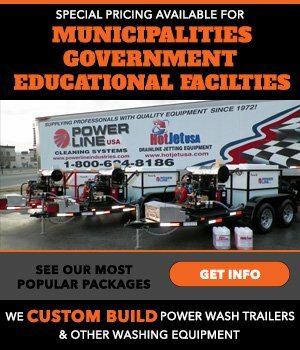 If I order a trailer wash system – First – How long does it take to build? Second – How do you ship it? Third – How do I unload it? ANSWER: We always have power pressure wash units in stock! First – We can have a unit ready to ship in 2 to 10 days. On custom orders it can take 5 – 10 days depending on the set-up you have ordered. Second – We contract with a private freight carrier or with Fedex or Old Dominion, they can deliver anywhere and they have been trouble free in 100’s of power wash trailer deliveries. Third – They have drivers who will meet you at your location – either at a loading dock or we call a tow truck company with a “roll back bed” to unload the trailer unit at your convenience. This works great, we’ve shipped many, many units this way. 18. What about a wash franchise or if I want more training? ANSWER: You can add a new division to your existing company or if you are starting a new business and want additional training, we offer the “Whole KAHUNA”: Equipment, training, marketing, web support, and manuals. 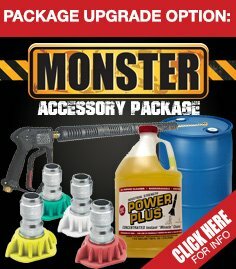 Check out our powerwashindustries.com website for complete details. 19. How would you explain Power Lines’ success? ANSWER: Our success has come from our customers. We view our customers as our partners in business! On the web we are relatively new, however, we have been in business over 30 years! Our customers are looking for a quality unit with true internet savings. We’ve leveled the playing field, the average savings on our trailer rigs is in the neighborhood of $3,000.00 to $7,500.00 when we compare feature to feature with “National Brands”. Now that is some serious cash and that can pay for one heck of a lot of marketing or take a nice vacation on the savings! From the ground up – our units are built for extreme durability – starting with the trailers, frames, engineering, water tanks, and components – our units are BULLET-PROOF ENGINEERED.